Ohio gubernatorial candidate Mike DeWine (right) addresses supporters during an event at Champaign Residential Services Inc. in Urbana on Saturday. 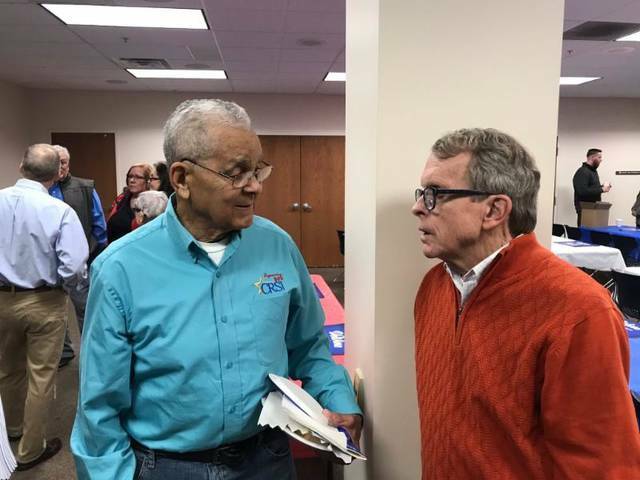 Ohio gubernatorial candidate Mike DeWine (right) speaks with supporter Ed Corwin during Saturday’s event at CRSI. 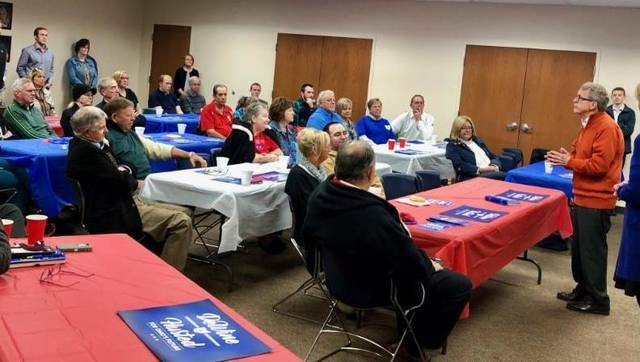 Mike DeWine visited Champaign Residential Services Inc. (CRSI) in Urbana Saturday, October 20 to meet with local supporters. Congressman Jim Jordan (R-Urbana) and other local officials were among those in attendance. DeWine and Jon Husted are the Republican nominees for governor and lieutenant governor of Ohio.